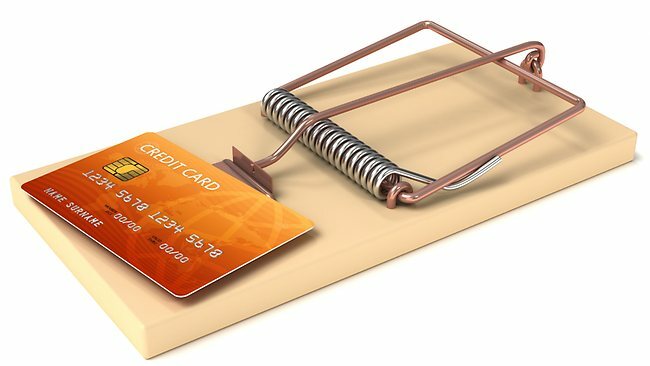 Credit Card Debt – An Unavoidable Trap? It’s easy to see how people fall into a debt trap when they apply for credit. After all, when you first apply for the privilege, the credit issuer welcomes you without hesitation. Therefore, you fully anticipate, at the outset, that this rapport will continue, which also encourages you to use the card. However, that good rapport you have with your creditor can soon turn sour after you fall behind on your payments. In fact, after a while, your communication ceases with the card issuer and the matter is turned over to a third party collections agency. Naturally, no one intends to lag on their credit card payments. However, credit cards, when used without forethought, not only lead to debt – but a debt that can become quite unmanageable. The main component that causes the debt to accumulate, if not soar, is the APR (annual percentage rate) – a loan rate that is typically around 18%. Plus, remember that the credit limit of a card is not necessarily a limit that is affordable. For example, if you have a credit limit of $500 and the APR is 18%, it can take around six years to pay off the balance by just paying the minimum. You will also pay about $550 in additional interest over that period. Besides understanding how the APR is used, it’s a good idea to become familiarized with other card-related terms, or generally the references seen on the billing statement. For example, a penalty APR is sometimes assessed to cardholders who have exceeded their credit limit or who have gone past the due date. You can also be assessed this additional fee if your credit shows you are in bad standing. What’s more, these types of penalties are around 50% more than APR rates – yet another reason why cards can trap you into a situation that is difficult to handle. The grace period for a card gives you some reprieve with respect to the accrual of interest. Grace periods may span from 0 to 30 days. However, most of these time spans average about 23 days overall. However, the period only covers the interest that is applied to what you buy – not to any cash advances you obtain with your credit card. If you are shopping for a card then, it’s best to find a grace period that is longer in length. Try to apply to a card whose grace period is 25 days. Transaction fees are charged for transactions like cash advances. Usually the fee is denoted by a percentage. However, in some instances, a minimum charge may apply. 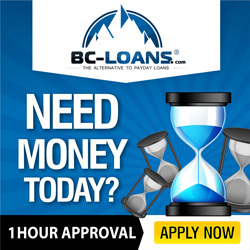 The cash advance itself is cash or a type of loan you obtain from the ATM. The minimum card payment, as you might surmise, is the minimum amount of money you can pay monthly in order to avoid late charges and to comply with the credit agreement. Balances are figured and paid in one of three basic ways. The most credit card-friendly method entails using a billing technique that is based on the cardholder’s adjusted balance. Therefore, payments that are obtained during the cycle are subtracted from the balance at the start of the period. Any new purchases then will not be added into the figures. For instance, if a cardholder’s starting balance is $1,000, and she remits a payment of $250 during the period of the billing, she is assessed interest on the remaining amount, or $750. An average daily balance may also be used for billing. When using this method, the outstanding daily amounts on the card are all added, and the total is then divided by the days in the cycle. Depending on the card’s terms, new purchases are added at the time or will be included in the next billing cycle. If the purchases are included, the balance will also increase accordingly, all which can cause the finance charge to escalate. Once the daily balance is figured, the interest is calculated for each day, or the APR is divided by 365 days. In some cases, a two-cycle balance is used for calculating the amount that is owed on the credit card. The daily balances are figured for both the present cycle and prior cycle for billing purposes. Obviously, this type of balance method is the least friendly of the computing methods. Armed with the aforementioned information, you can start to see how debt can start to take on a whole new dimension, especially if you are not careful when making purchases. Besides understanding billing terms, consumers need to be cognizant, if not wary, about hidden charges. These kinds of clandestine fees are frequently discussed and buried in the fine print of the card’s terms. Hidden fees are often attached to cash advances. For instance, if the terms state a card’s transaction fee is three percent or a minimum of $10, the amount charged can be substantial. So, if a cardholder takes $50 off his card from the ATM, and is assessed the minimum fee of $10, he really will be paying a transaction expense of 20% versus 3%, all which amounts to 17% more. Late fees, as you might surmise, are charged when you miss the due date for your payment. So, if you are looking for a card, try to find one whose fee is, at least, reasonable, or no more than $20. Over-the-limit fees may also be charged too. Some card issuers will penalize you for surpassing the credit limit by only a dollar. Unfortunately, getting a low introductory rate is not always advantageous, especially when the regular rate is out of the range of your budget. Given the above data, it’s important that realize your own limitations financially. Spending beyond your means also entails a good deal of hardship with respect to interest, extra fees, and unexpected charges. Therefore, it’s important to outline a budget each month and follow it. Try to set a goal of paying off the total bill monthly. Only make purchases when you can pay off the balance. If you need to pay on time, figure out how much of a payment you will need to make each month in order to pay down and pay off the account. Narrowing down your card usage to one or two cards will mean a cost savings as well. By doing so, you will avoid incurring annual fees as well as become less susceptible to receiving more than one late payment at a time. If you find you are having a hard time paying down a sizable balance, try to pay as much as possible and then exchange the card for a charge card with a lower APR.